Imagine your beloved phone tumbling down the toilet bowl or forgetting to take your phone out before diving into the pool. As scary as these scenarios sound, some of us have lived through these nightmares, with nothing but a water damaged phone at the end. Although most of our modern-day devices come with added protection against water damage, not all of our expensive handsets survive the attack of water. First of all, unless your manufacturer guarantees water resistance like Sony and Samsung devices, working to fix a water damaged phone is an uphill battle. If the device has been damaged beyond saving, there is a good chance that the harm is permanent. Nonetheless, you can always count on this guide to learn how to fix a water damaged phone. The longer your device stays in contact with water, the higher is chances of irreparable damage. Dig your phone right away, even if you have to fish it out of the toilet bowl and shake off the dripping water. If the phone is still on, shut it down immediately and pull out the battery if your phone comes with a removable casing. Even if you don’t have a removable battery, get your hands on a SIM tray remover and pop out your SIM to rinse out any droplets that have made its way inside. Don’t turn on your phone for a while, until you have followed the next steps. Don’t plug in your water damaged mobile for now, it could destroy the circuit board. Avoid shaking the device to push out water, since you could end up pushing it to problematic places inside the phone. Don’t try to heat up your phone to evaporate the water, as it could end up damaging heat-sensitive parts like the display or the processor. 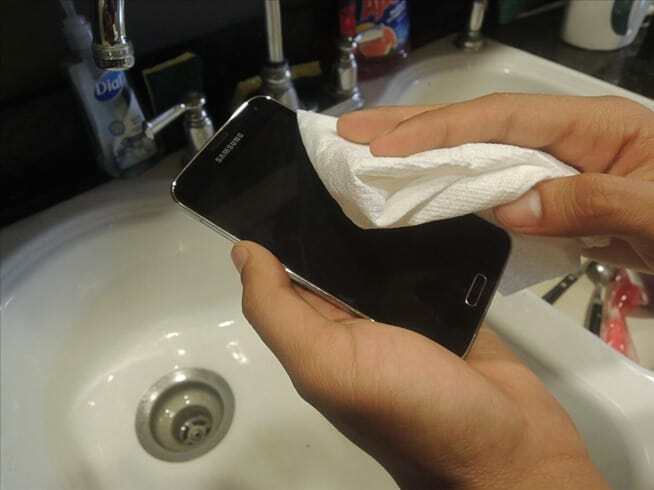 In most cases, the weather and sun will help you get rid of all the water and leftover moisture on your phone. However, you can give it some extra help to speed up the process and make sure that all the moisture comes out from the nooks and crannies of your device. 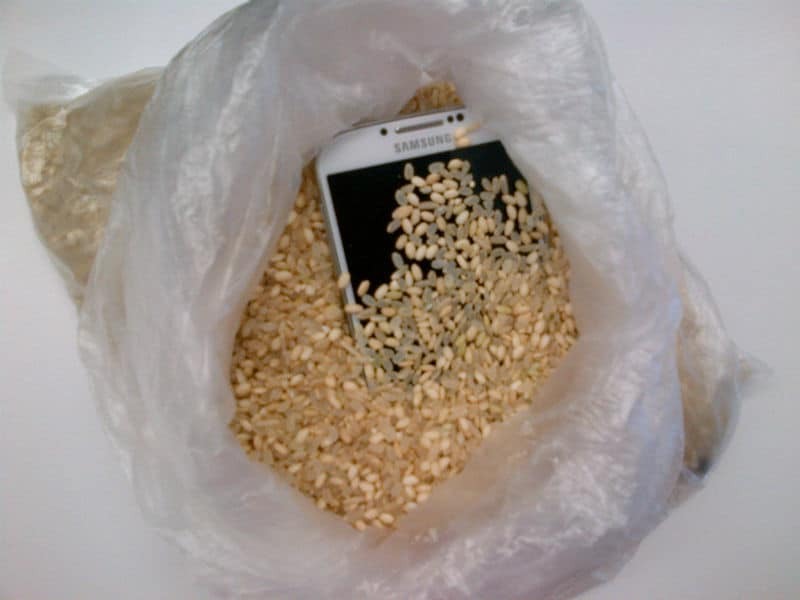 One of the most common ways on how to fix a water damaged phone is popping it into a Ziploc bag of raw rice and keeping it away for 2-4 days. Since rice is a great moisture absorbent and available in every home, you won’t even have to step out of the door to find a fix for your phone. Now that you have given your water damaged phone plenty of time to “heal”, pull it out of the bag and prepare to turn it on. 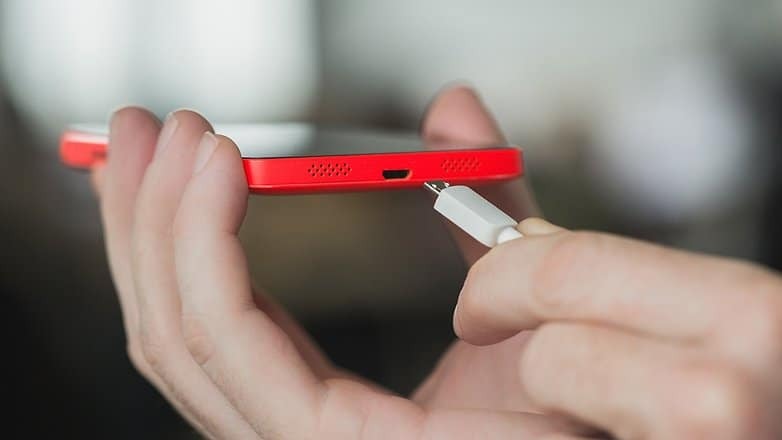 Plug in your smartphone to see whether the power port works or not, and if your device turns on, half the battle is already won. The next challenge is to check all the network and hardware related processes like cellular operation, speaker and earpiece performance, battery life, and display quality. Depending on how severely your phone was water damaged, you can only hope to have stopped any extensive harm. Have you ever been unfortunate enough to suffer from the dilemma to fix a water damaged phone? Were you able to bring back your device from the realms of the dead? Let us know your experience with phone water damage in the comments below.